We get kids into the Bible and the Bible into kids. 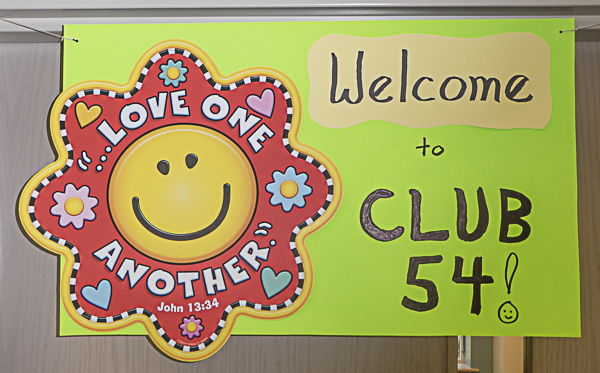 Calling all 4th and 5th graders...come to Club 54 for Bible study, worship, fun and friends! ​Class meets from 10:15AM to 11:30AM downstairs (first class room on the left) every Sunday except the 1st Sunday of each month, when the children attend worship services and communion with their families. We welcome visitors as well as new families coming to the church. Club 54 does not meet over the summer but kids can still have something to look forward to! Each Sunday they can pick up sermon notes from the ushers and fill out the paper throughout the service. At the end of the summer whoever hands in the most sermon notes may get a prize. See an usher to get those notes! My contact info is (856)-470- 8395 or leb003@lvc.edu. Carrier Pigeon works too!